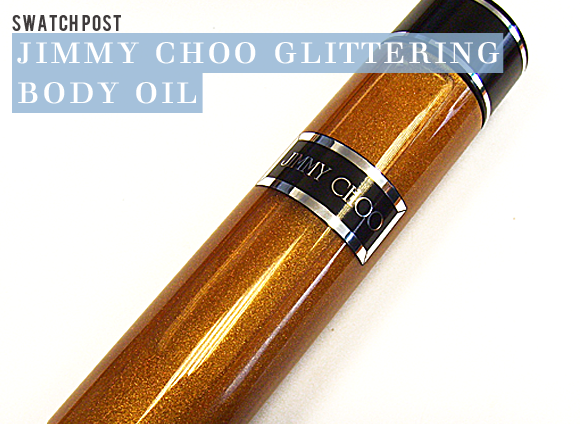 Today I took a closer look at the decadent Jimmy Choo Glittering Body Oil, a luxurious new addition to the Jimmy Choo body collection. Made up of precious plant oils, the pampering moisturiser penetrates the skin to leave it feeling intensely nourished and plumped up. 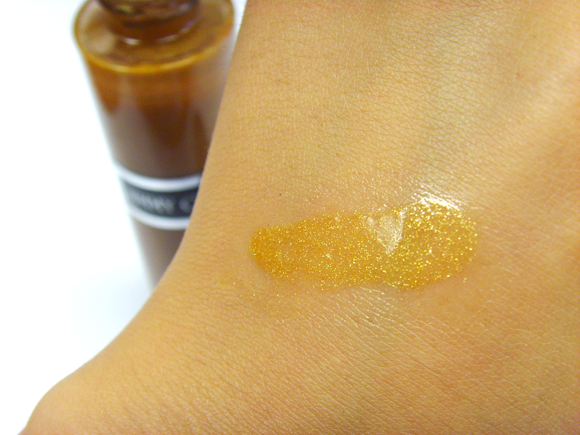 Not only does the oil make the skin feel amazing, it also laces it with dazzling, iridescent bronze shimmer. The packaging is tall and sleek with an easy-pour top that prevents you from dispensing too much product. 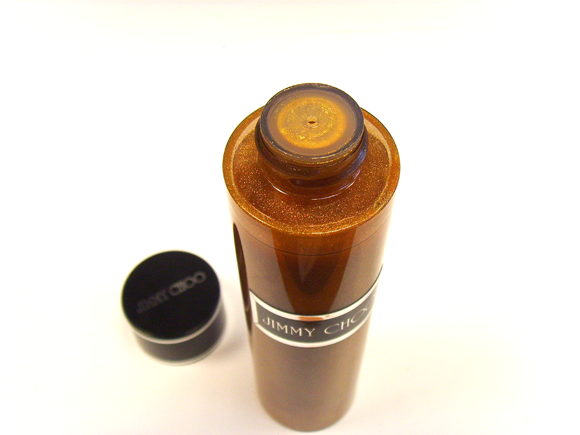 It is finished off with with a weighty black screw top emblazoned with the Jimmy Choo logo. Precious, dry-touch plant oils of sweet almond, argon, macadamia, hazelnut and wheat germ perfectly pamper the body. There is no greasiness or heaviness, and the oil sinks into the skin very easily. You’re left with a subtle sheen, a soft-touch finish and skin that is beautifully fragranced with the Jimmy Choo signature scent of green notes, toffee, orchid and patchouli – gorgeous! 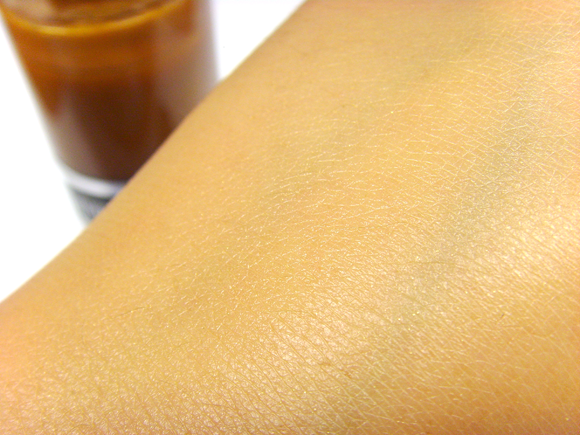 This entry was posted on Tuesday, August 7th, 2012 at 9:00 am and is filed under Fragrance, Skincare, Swatches. You can follow any responses to this entry through the RSS 2.0 feed. You can skip to the end and leave a response. Pinging is currently not allowed. That looks so nice and leaves the skin looking so beautiful , a must try for everyone!